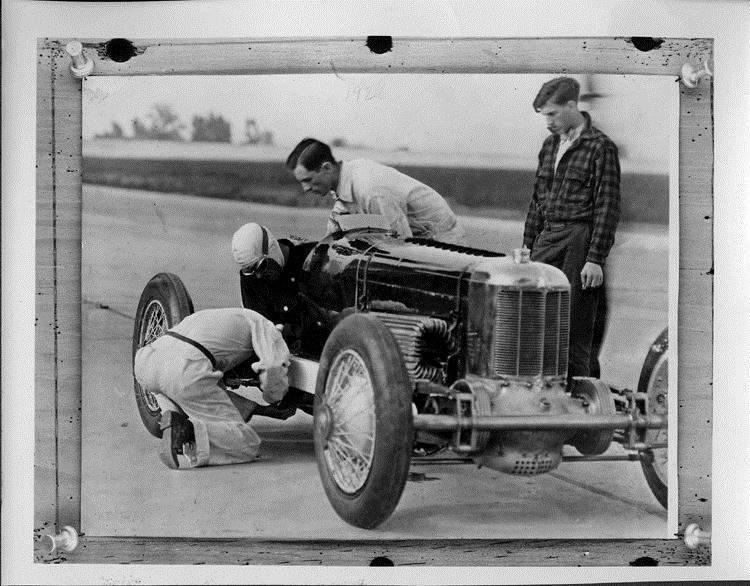 8x10 black and white Packard Co. file photograph of a 1928 Packard race car being checked out by three men, driver behind wheel. Inscribed on photo back; Packard Motor Car Co. Proving Grounds 2.5 mile concrete speedway, Utica, Mich., inauguration ceremonies 14 June 1928; Leon Duray, 91-cubic inch front drive Miller special #4, set closed course one lap record of 148.17-mph, thus did proving ground track become the world's fastest speedway, a title held until the opening of Monza in Italy after WWII. 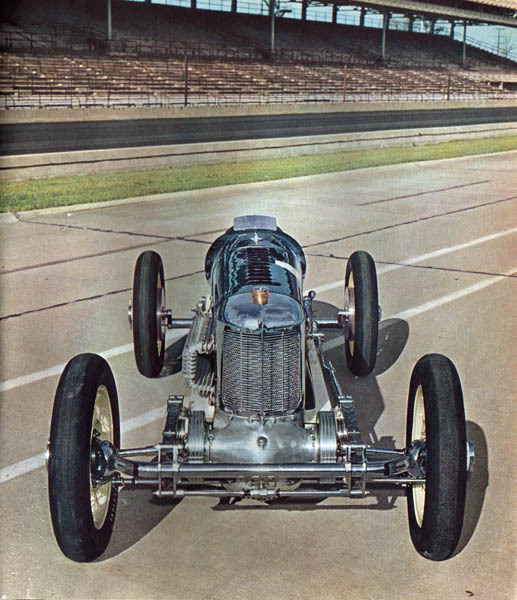 Packard Cable (a division of General Motors) was a sponsor of the beautiful Miller race cars. This where the confusion comes from, Packard Cable not Packard Motor Cars.